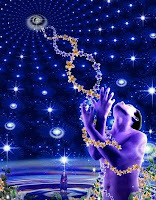 So much is being written about this year, 2012, so many thoughts, so many beliefs, but what is actually occurring in our Solar System and how might we connect into the downpouring of consciouness that is flooding into our planet at this moment in time. Neptune, on Feb 3rd, returned once more to its natural resonance, in the sign of Pisces. It will be transiting through this energetic resonance over the next twelve years. All that is alluring, promising and ephemeral flows within this Neptunian Piscean combination - all our highest ideals, and equally, our greatest fantasies are embodied within this archetypal energetic field. At this point in time Chiron is also in Neptune just a couple of degrees away from Neptune. The Chiron conjuction of Neptune occurred back in 2009 at 26 Aquarius, but over these next three years or so Chiron will orbit just ahead of Neptune, as if pulling and streaming our consciousness to reach out for the highest spiritual manifestation possible. Many of our beliefs, desires and dreams will be brought into the discerning Light of Chiron. Do our beliefs and aspirations encourage and evolve our true awareness, or do they simply delude/wound us into a false sense of illusory wellbeing. At this time of writing Jupiter is making a sixty degree anle (a sextile)to both Neptune and Chiron and so we are bare being greatly encouraged to raise our consciousness, expand our awareness and to clarify our accumulated beliefs and desires that have been handed down to us over generations. As Uranus is travelling through Aries we will be given every opportunity to cut through any foggy dreams and illusions that have built up within our accumulated psyches. It is as if the Cosmos is saying 'Wake Up, smell the roses and live and act in the Present' - no dreaming about the past or fantasising about the future - but be clear in this moment. This need for clarity is being really intensified with Pluto in Capricorn making a 90 degree angle (a square angle) to Uranus. Pluto and Uranus require radical solutions - they ask that we live in extra ordinary ways - that we bring our clarity and individuality to a higher purpose - one that serves the collective consciousness in a True sense. 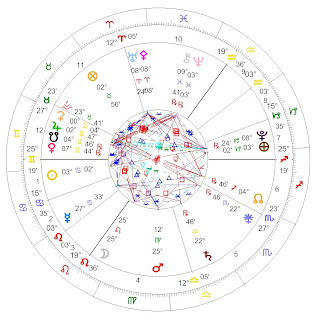 On June 24th, just over a fortnight after Venus's transit across the Sun (a separate blog at a later date) Uranus at 8 Aries 24 will make an exact 90 degree angle to Pluto at 8 Capricorn 24 - and the need to distinguish between illusion and high ideals will be brought clearly into focus. One of the illusions which may well surface at this time is the sense that we are in some way separate to each other - this is the greatest of all illusions - for we are all intimately interconnected within the group consciousness that we have all created and so our interdependence upon each other may well come into sharp focus at this time. The radical shift that we need to embody is our real understanding of the Oneness of all Life and how we can communicate and interact, with this field of consciousness in ways that will benefit and evolve our perception of what it is to be a human being. It is said that there are only two destinies for Mankind - one is to become a Divine Human Being and the other is to become a Divine Human Angel. 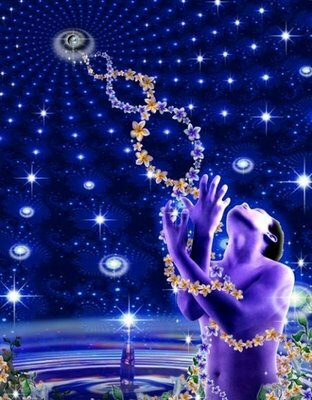 With Neptune and Chiron passing through Pisces we have the ability to seed this evolutionary path of Divine Love. 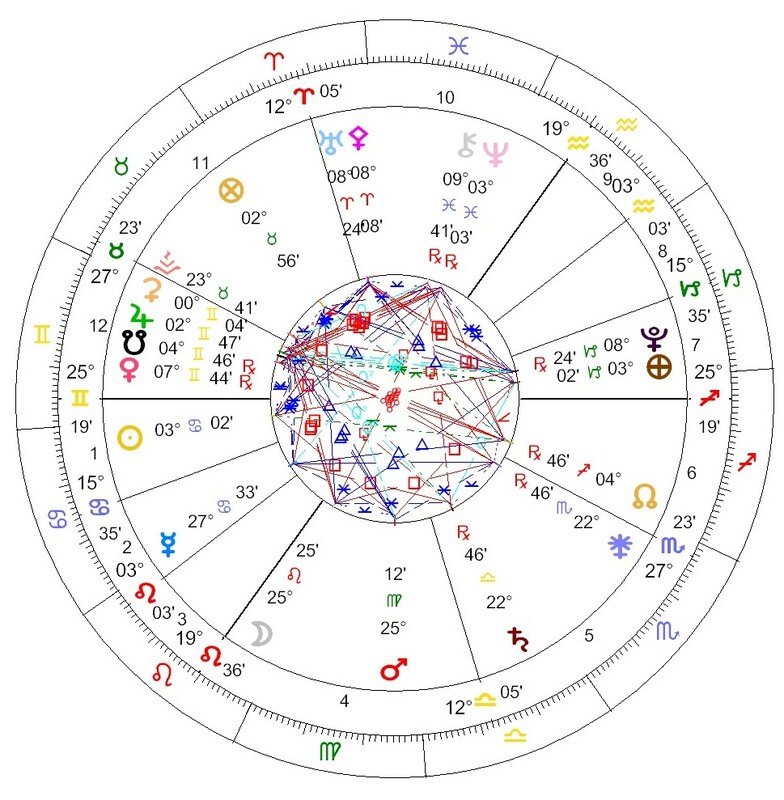 With Uranus and Pluto clearing the way, we may yet find the clarity, courage and collective will to turn the cogs of the evolutionary wheel, to Birth the next face of Human Consciousness.